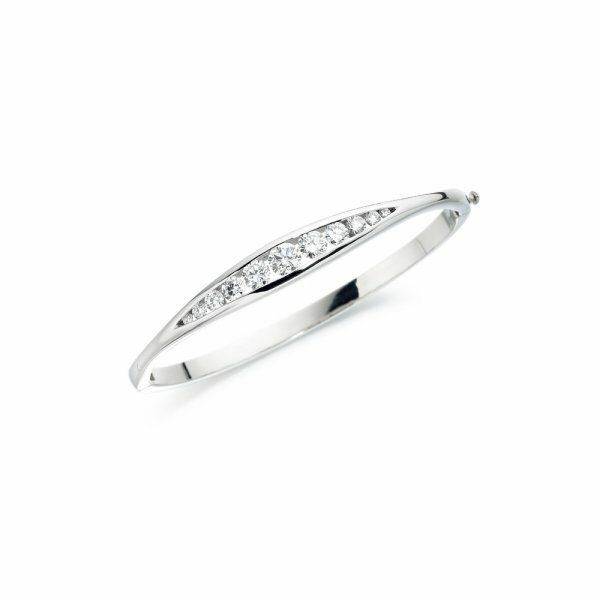 Bangle set with two 0.03ct Brilliant cut diamonds, two 0.07ct brilliant cut diamonds, two 0.15ct brilliant cut diamonds, two 0.22ct brilliant cut diamonds, two 0.38ct brilliant cut diamonds & one 0.50ct brilliant cut diamond. Total diamond weight: 2.20ct. Also avaliable in Yellow Gold and White Gold. This item is made to order. Please allow up to 4 weeks for delivery.